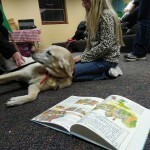 Autumn shares a book with Diva during Paws to Read at Mentor Public Library. Looking for a way to encourage your kid to read? 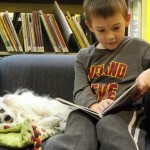 If they like dogs, then Paws to Read at Mentor Public Library is the perfect program for them. 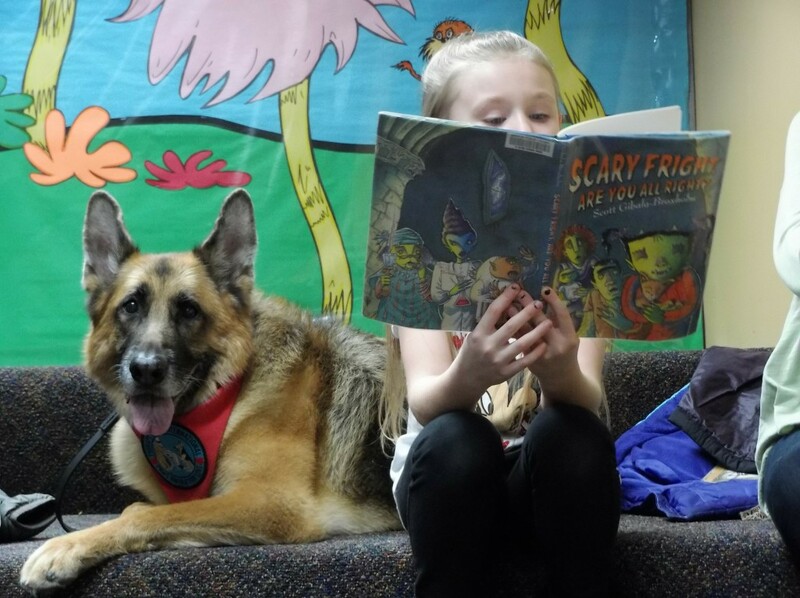 Paws to Read pairs young readers (between the ages of six and 12 years old) with therapy dogs, who listen to the children as they read. The dogs make an ideal audience—supportive and adorable—and all they ask for in return is the occasional belly rub. There will be two 30-minute sessions on March 21 at our Lake Branch; one beginning at 6:30 p.m., the next at 7 p.m. We only have so many therapy dogs; so, unfortunately, there’s a limit on how many kids can participate each month. Furthermore, those spots tend to fill up fast, so contact the children’s department at Mentor Public Library soon if you think you child would enjoy Paws to Read. 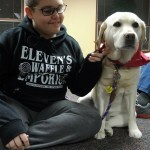 For more information on Paws to Read and other children’s programs at Mentor Public Library call (440) 257-2512.